The Easter Bunny Bag printables were a huge hit last year so this year we’ve followed that up with cute Easter Chick Bag printables! 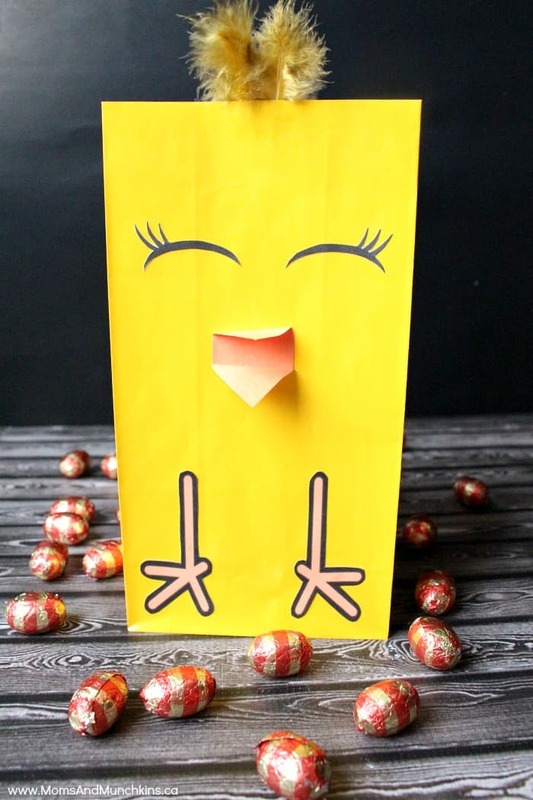 These free Easter Chick Bag printables include the eyes and little feet. All you have to do is add on a beak with orange construction paper and some cute feathers on his head or where his wings would be. I found the yellow bags at Party City but I’m sure you could find something similar at the dollar store in the party section. When printing the eyes and feet, you’ll want to adjust the printing size so that it fits the bags you buy. Printer settings are different depending on your printer but for mine this setting is called “scale”. Just adjust the size up or down to fit your yellow bags. These Easter Chick bag printables are available for FREE for our monthly newsletter subscribers! Signing up is free & easy – we have over 10,000 subscribers! Simply enter your email address, confirm your subscription, and you’ll be directed to a Thank You page with a link to the freebies page along with the secret password. This link and password will also be repeated in each of the monthly newsletters. Visit our Easter page for even more free printables, Easter party ideas, sweet treats and so much more! 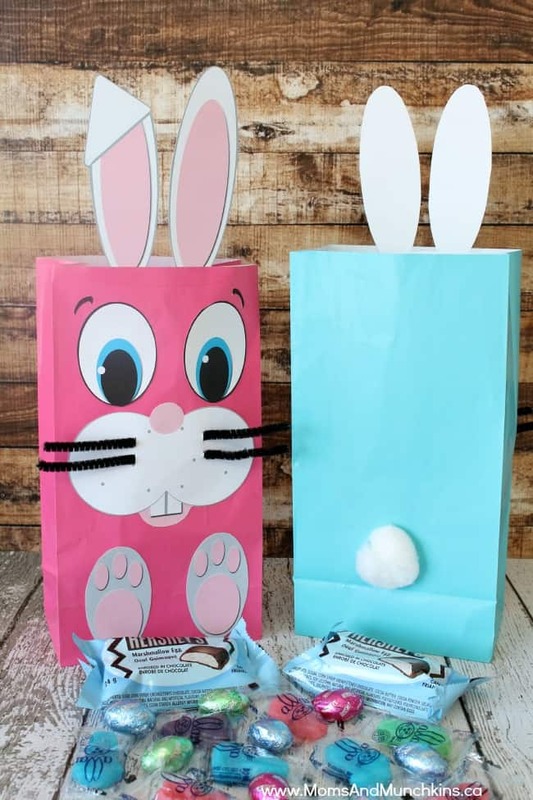 Don’t forget about the adorable Easter Bunny bag printables! We’re always adding new ideas for parties and family fun. Never miss an update by following us on Facebook, Twitter, Pinterest, and Instagram. Too much cuteness! I’m thinking these would make adorable lunch bags for my daughter’s lunchbox! Cheryl, Adorable treat bag! Love the bunny too. Pinned and tweeted. Love having you as part of our Brag About It linkers! I subscribed and went to my email for link but I thought the password it was requesting mine and now I can’t seem to get the files for Easter Bunny bag and chick?? Hi Marion! I’ve sent you an email.